Yeah! It’s your birthday! Check out these 10 places where you can get freebies on your birthday. SEE ALSO FREE MOVIES Here’s how to redeem six (6) Free Movie Tickets on your Birthday ! March Babies, your birthday month tower treat comes with 1 Free Sky Deck Ticket. To enjoy this ‘birthday month tower treat’, you must be accompanied by at least 1 guest aged 4 years and above. T&Cs apply. One month long birthday treats for Red Box and Green Box Birthday Members only. – Enjoy whole month Free 1 Head Charge for the birthday person on his or her birthday month. – Must be Red Box, Green Box or Red Box Plus Karaoke member. – Applicable with minimum 1 normal paying head charge. – Limited to ONE (01) Free Birthday Member per room per visit. – Promotion is valid for all sessions. – Only FREE KARAOKE and FREE 1 DRINK for the birthday member during Lunch Hour Session. – Meal order for Lunch Hour will be charge accordingly. ( applicable to Red Box, The Gardens, Red Box, The Curve, Red Box Plus, Pavilion ). – Must present IC and member card for verification purpose. – 5 normal head charge & above FREE 1 bottle Sparkling Juice or 1 jug Soft Drink (from Happy Hour Onwards). – Remember present your member card and ask for birthday treat! 3. Aeon Member Birthday Treats! Don’t forget to redeem your exclusive birthday vouchers. 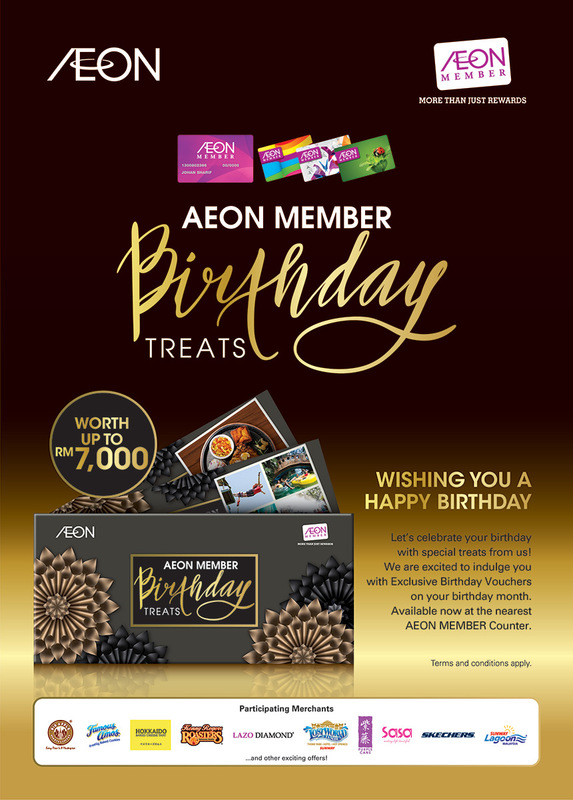 Simply head over to the nearest AEON Member counter to collect birthday gift vouchers during your birthday month. Birthday guests get to enjoy a *FREE Giant Pepsi Celebration Tower plus any 3 desserts from the menu when they bring a group 6 or more to dine-in and celebrate. FREE Buffet 7 days before and after your birthday with minimum of 2 paying adults. No reservations needed. Members of Starbucks can enjoy 1 complimentary slice of cake with a purchase of any handcrafted beverage during their birthday month. 7. The Coffee Bean and Tea Leaf. (b) 20% off the total bill – not applicable for CBTL products (machines, capsules, accessories, etc) and third party products. *Customer to present The Coffee Bean card & IC as proof. 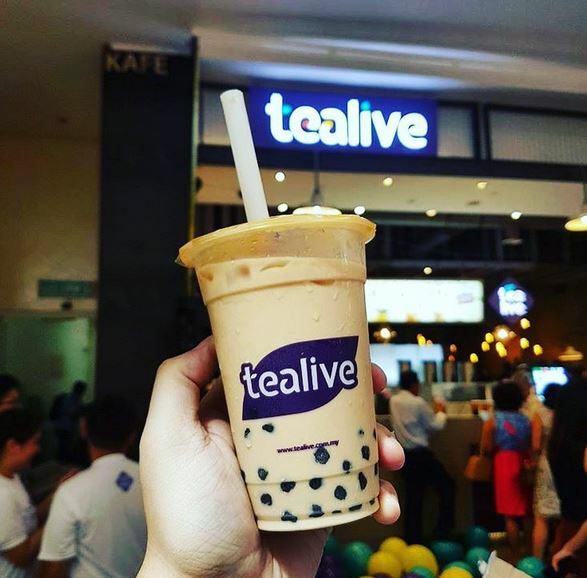 Member of Tealive will receive a Birthday Tokens which can be used to redeem a Free Drink* (RM6.50) on their birthday every year. Token is valid for use within 1 year. Members of Juice works get to enjoy a Free birthday drink on their actual birth date. Members of Boost Juice are entitled to a free BOOST on their birthday.